It seems like there was no end to Jay Rock’s hunger this past year. The Strange Music/Top Dawg Entertainment MC was featured in numerous music videos from around the country. 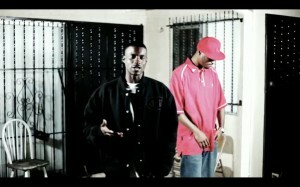 Just in case you missed it, here is Serius Jones featuring Jay Rock in “Look Out The Window”. Both rappers shine on this introspective track with an infectious hook. Click here or scroll down to watch the video below.